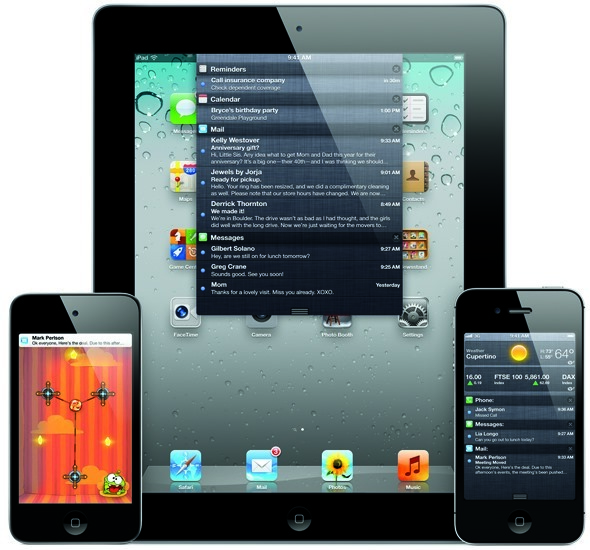 Before the belated introduction of Siri, Notification Center was the main talking point of Apple’s much improved operating system for mobile devices – iOS 5. Although the voice-recognition software is marvelous and all, the improved notification infrastructure has to go down as the prized feature of what is (besides the battery issues) a very well put together update. The developers have been hard at work updating Cydia tweaks for use with iOS 5, as well as bringing modifications for the brand-new features. The Notification Center has a whole bunch of handy tweaks rendering it even more useful and productive than the stock offering. We’ve covered many of them here at Redmond Pie, and, since it’s the weekend, we’re taking the opportunity to round up the ones we most recommend. One of the main issues with iOS (and often, mobile operating systems in general), is not necessarily a lack of features, but the time consumed in getting to them. The camera, for example, now has a nice handy button on the lockscreen – meaning you won’t miss the moment as you scramble around looking for the camera icon. QuickMemo follows a similar motif. Making a quick note can often take a lot longer than it should, since you’ve to source where you’ve put your notes app, and often, once you’ve found it, you’ve forgotten some – if not all – of what you initially wanted to write down. QuickMemo adds a little scratchpad to your Notification Center for incredibly easy access, meaning you’ll never forget those little mental notes again. This handy little add-on allows you to quickly and effortlessly kill your backgrounded apps, freeing up that oh-so-precious memory for more important tasks ahead. It’s rather unfortunate that Apple hasn’t implemented some form of ability to close apps in their bunches. After all, if, like me, you’ve hundreds on your device, you probably don’t enjoy the rigmarole of shutting them down one at a time. 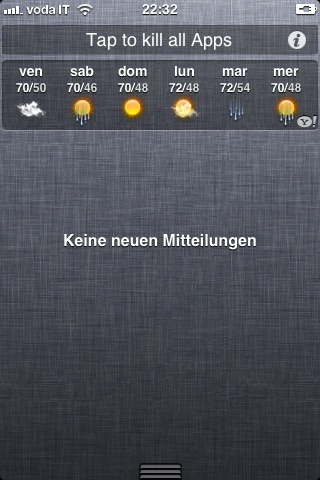 Luckily, the jailbreak devs are one step ahead, and you can see more of WeeKillBackground here. Similarly to QuickMemo, it takes a central feature of your device and brings it to the Notification Center for easy access. In the average person’s address book app, there will likely be hundreds of entries, but most are seldom contacted and simply make up numbers. FavoriteContacts lets you take your most valued (or simply most contacted), and give them pride of place in the Notification Center – making the process of calling or messaging your most frequented contacts a complete doddle. Very useful, and one that I have personally been using since we first reported on it here. As most jailbreakers would probably vouch, SBSettings is the single most useful tool once the Cupertino handcuffs have been breached. A simple slide across the top brings every key element of connectivity (as well as additional other toggles) all in one place. Dubbed the ‘Ultimate’ Notification Center tweak, BBSettings brings this to the Notification Center, allowing very easy access to the very important components of your device. For a full overview and download, see here. One also worth a small mention is WeeSearch. Despite currently having more than its fair share of bugs, it’s a very worthy entrant to our list. It allows you to quickly search three of the Web’s main sites (Google, YouTube and Wikipedia) right from the convenience of your Notification Center. Unfortunately, it’s currently let down by not having the ability to use spaces in searches, but definitely worth keeping an eye on, since updates can easily amend such issues. For more info, check this post. It’s certainly a positive move that developers behind Cydia Apps and tweaks have made a beeline for the Notification Center. Being the central component to all of the devices activities, it presents the perfect breeding ground for many useful tweaks – making the whole experience faster, easier, and altogether more productive. 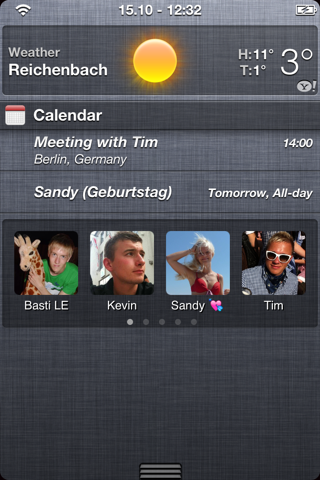 Let’s hope the trend of developing Notification Center-based apps continues to thrive! 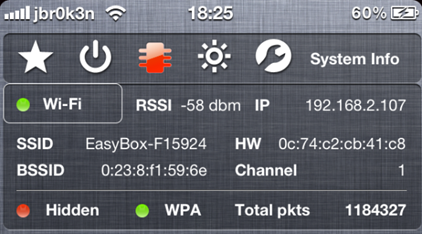 In order to install any of the tweaks in today’s round-up, you will need a jailbroken iDevice running iOS 5. All devices barring the iPad 2 and iPhone 4S can be jailbroken tethered using Redsn0w, For jailbreaking iOS 5 tethered using Redsn0w, you can follow our complete step by step guide posted here, or here if you want to use Sn0wbreeze on Windows. Since jailbreak on iOS 5 is currently limited to tethered boot only, you can install ‘SemiTether’ patch (instructions here) from Cydia to make your jailbreak semi-tethered on iOS 5. For those of you on iOS 5.0.1 can follow our instructions posted here on how to jailbreak using Redsn0w or here using Sn0wbreeze.